MOST ATTACKS AND REAL FIGHTS WILL END UP ON THE GROUND...LEARN WHAT TO DO! Finding a fitness routine you can enjoy should not be a difficult task. However, as adults we have all experienced the initial enthusiasm for new workout routines, only to find ourselves bored or uninspired before long. Since its arrival in the United States in the 1980s, Jiu-Jitsu has experienced an unprecedented popularity, with its practitioners creating a real culture of their own. Let the Jiu-Jitsu program at Fresno Ultimate Martial Arts help you reach your maximum physical and mental potential! 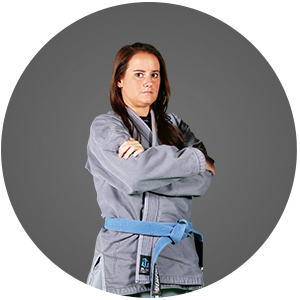 Jiu-Jitsu at Fresno Ultimate Martial Arts: Get in the Best Shape Of Your Life and Learn to Protect Yourself! 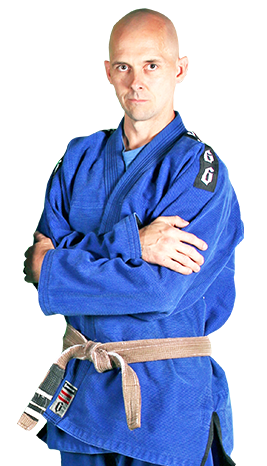 Jiu-Jitsu is widely considered the most effective form of self-defense in the world and has become hugely popular especially with the explosion of UFC. The primary goal of Jiu Jitsu is to control a resisting opponent in ways that force him into submission by grappling. At Fresno Ultimate Martial Arts, it is our mission to help you become a confident, focused individual with the life-transforming skills of Jiu-Jitsu. As a competitive BJJ Blue belt I really enjoy the training and dedication to knowledge at Ultimate Martial Arts. The school, unlike many schools in the valley, is associated with Roy Dean's instruction, and I believe that the curriculum structure is great for fostering increased learning and growth. As people may know starting out BJJ can be daunting and if you pick the wrong school it can be easy to get discouraged, but at this facility all the practitioners are very patient and open to newcomers. It has a great mix of newcomers and competitors, so you can gain knowledge and test yourself against stronger competitors. Competitive Jiu Jitsu Classes up to parr! Brazilian Jiu-Jitsu is an amazing form of Martial Arts! It's all about technique and submissions. Sensei breaks down all the moves for us and has us practice step by step with each other and with himself. If you are wanting to try an Armbar, Americana, Kimora, and many more techniques. Then Brazilian Jiu-Jitsu is right for you. It's a little like wrestling, but more intense and fun! In Jiu-Jitsu we all grapple(spar) with each other for 5 minute matches. I am very thankful for everything that I have learned from Sensei Rudy and Ultimate Martial Arts! Our Teen Martial Arts program is for ages 11-15 & Adults Martial Arts programs are for ages 16 & up.